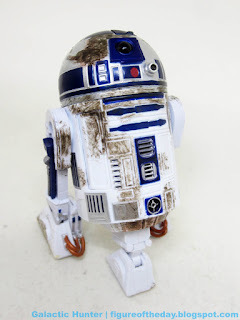 Commentary: Thanks to environmental residue, Hasbro could easily give us grassy, snowy, muddy, and other versions of this droid. In the 6-inch line, other than the first catch-all version, R2-D2 gets only his second flavor five years later as a "blasted" version. This is the one that they pulled out of Luke's X-wing, and one that had more bashed-up panels and blasted-up bits in the 3 3/4-inch line. The battle-worn grit looks better here, though. The original 6-inch R2-D2 was a rare instance of Hasbro making a figure that feels a little small, but had just about every necessary accessory up front. We got two panels with pop-out arms - still here - and three dome panels that could be removed to add other accessories. Also still here. 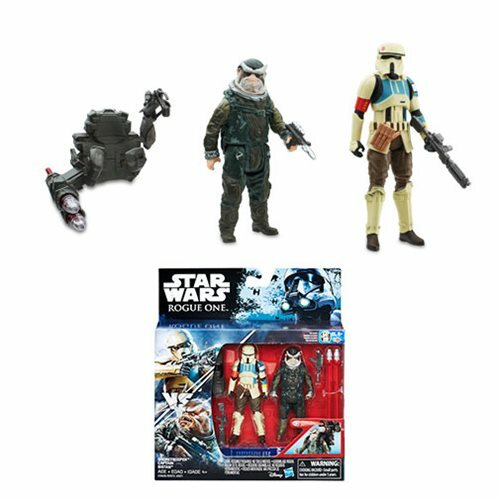 Hasbro removed the two scopes and lightsaber from this release, also the prequel booster rockets in the arms. The removable arm panels remain - you can pop them off if you like. Because of all the accessories and features, you should track down the 2013 original or the 2017 40th Anniversary repack. It's the best. This is good for different reasons. 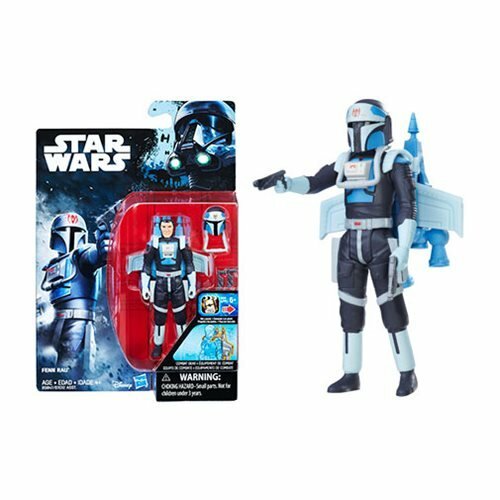 This is a figure you buy for deco. The white and brown blast marks with energy damage and oil leaking looks really spectacular. It's kind of funny because it's a white glossy brand-new figure with what looks like years of leaky oil and war damage on parts of it - but from a distance, it looks great. The eye is big and glossy, the red light looks good, and the blue is blue where it should be. It's not exact, but it's pretty close - that red light is nice, but it should be turned off. 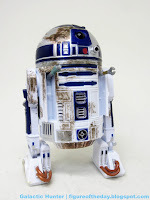 R2-D2 is "dead" in this look. The white blast on the side closely matches the movie, and some of the brown is close, but not identical, to the prop. He could also stand to have even more dirt paint, but it gives a close enough impression of what we saw on the big screen at the end of the original film. Clearly, I'm picking nits here. 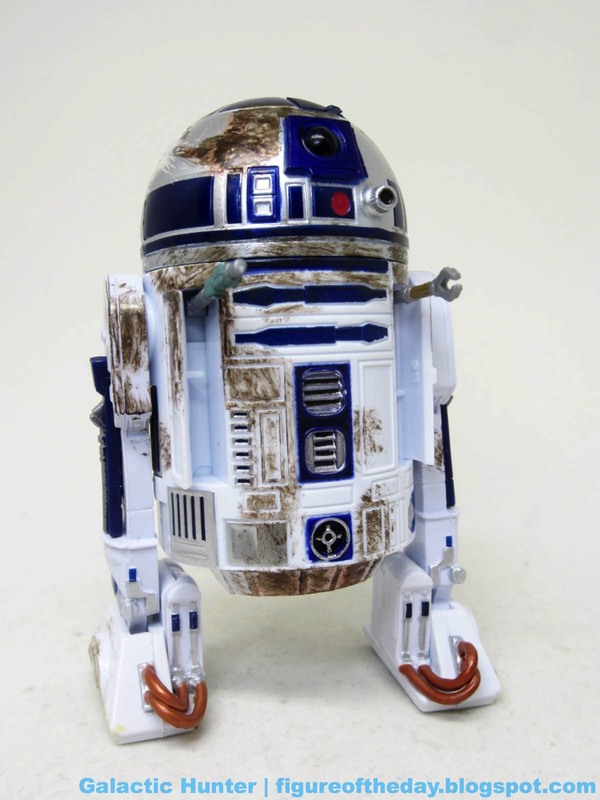 If you want an R2-D2, this is a good one. You don't get the pop-up lightsaber or the extra scopes, but you get a lot more paint and a paint job that could just as easily do duty on Dagobah. 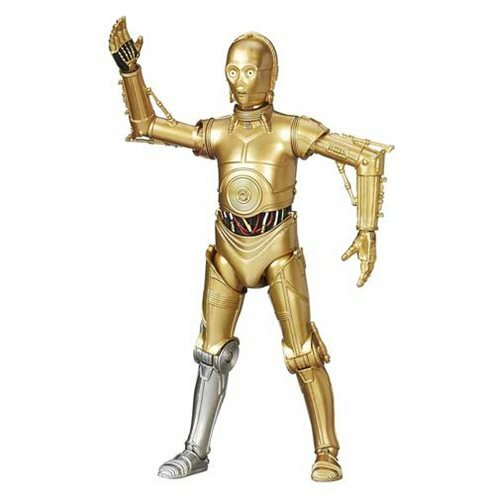 I don't see this figure as a selling point for the set, but I don't see the set as one of the best either - two of the three robots are very close to droids you likely already own. Sure they're different - but it can be difficult to get excited about more of the same without a little something extra in there to make the figure even more exciting and compelling, or at least different. Collector's Notes: I got mine from Amazon.